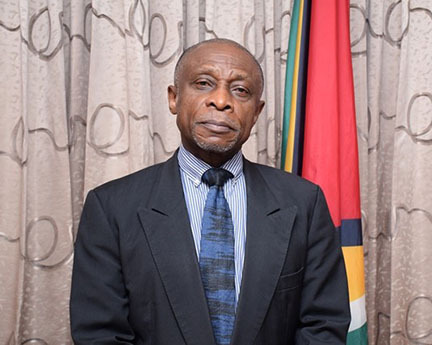 The National Assembly, which has been on hiatus since January 3rd in wake of the no-confidence vote against government, will soon be reconvened, Vice-President and Minister of Foreign Affairs Carl Greenidge, who is currently performing the duties of President, announced last evening. “Government is pleased with the decision as it settles matters which have been discussed ad nauseam for several months and which had led to some level of uncertainty,” Greenidge, in an address to the nation broadcast on the National Communication Network, said following the majority decision of the Court of Appeal that the motion of no-confidence against the government was not properly passed since it did not receive an “absolute majority” of the votes in the 65-member Assembly. Acting Chancellor Justice Yonette Cummings-Edwards and Appellate Justice Dawn Gregory both found that an “absolute majority” of 34 votes of the elected members of the 65-member Assembly was needed, while Appellate Justice in a dissenting opinion agreed with previous judgments by acting Chief Justice Roxane George-Wiltshire, who had held that the motion was validly passed. The High Court’s ruling had spurred opposition PPP/C calls for the holding of new polls by March 21st, after which time it said it would not recognise the legitimacy of the government. During his address, Greenidge stressed that government is legal and remains in office without hindrance. Specifically, he noted that there are no barriers to the President and Cabinet moving forward as they see fit. “Its powers remain unmodified. As an executive it has full powers,” he stressed. Additionally, Greenidge noted that the position of Parliament is restored to that of December 21st prior to the vote and arrangements will be made for Parliament to meet and conduct its business unhindered. “Parliament has power. Parliament acting on the decisions of the court can meet as soon as it likes to address whatever it likes and to deal with bills brought before it and motions brought before it however it likes,” Greenidge elaborated. He went on to appeal to all Guyanese to respect the ruling of the court and remain calm while they await the decision in relation to any appeals which may be filed at the Caribbean Court of Justice (CCJ).